Paso Fino means 'fine step'. Paso Fino horses are a naturally gaited light horse breed dating back to horses imported to the Caribbean from Spain. Paso Fino horses are prized for their smooth, natural, four-beat, lateral ambling gait; they are used in many disciplines, but are especially popular for trail riding. 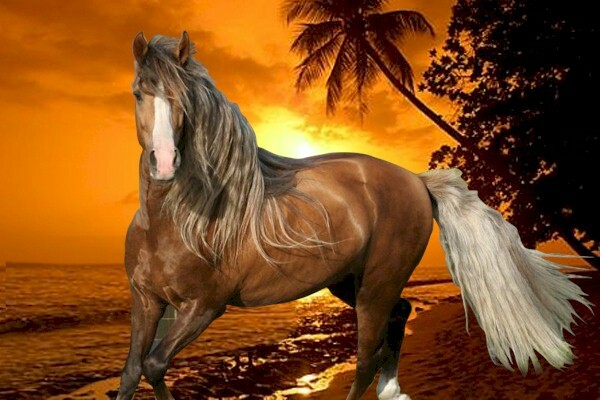 In the United States two main groups of horses are popularly called "Paso Fin" One, also known as the Pure Puerto Rican Paso Fino (PPR), originated in Puerto Rico. The other, often called the Colombian Paso Fino or Colombian Criollo Horse (CCC), developed in Colombia. Paso Fino horses are a blend of Barb, Spanish Jennet, and Andalusian horses. They were bred by Spanish land owners in Puerto Rico and Colombia to be used in the plantations because of their endurance and comfortable ride. While from similar Spanish ancestors, the two groups developed independently of one another in their home nations. Puerto Rican Paso Finos were developed over a 500-year colonial period. Island geography and the desire for hardy, sure-footed, comfortable horses led to the independent development of the breed. Frenchman Andres Pedro Ledru, in a notation about horse races held on the 17 of July, 1797, wrote that the speed of these indigenous horses was admirable, "they have no trot or gallop, but a gait so precipitated that the eye can't follow the movement of the legs." The rise of the Paso Fino in the United States began in the 1950s and 1960s. The first Paso Finos in the United States were imported by members of the armed services, who purchased the horses while stationed in Puerto Rico. Today, the Paso Fino Horse Association (PFHA), founded in 1972, oversees and regulates registered Paso Finos in the US. It registers and promotes both Puerto Rican and Colombian horses. These two groups have been frequently crossbred in the United States and Europe. In recent years, a trend has developed favoring preservation breeding to preserve the undiluted bloodlines of each group.